Johore’s 1876 #1 is a handstamped Straights Settlements definitive that sells for £10k/£4k. 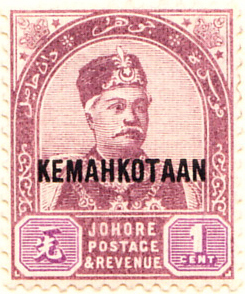 This was followed by a series of stamps overprinted ‘JOHORE’ in a wide variety of fonts. We start with the first real stamp from 1891 showing Sultan Aboubakar. 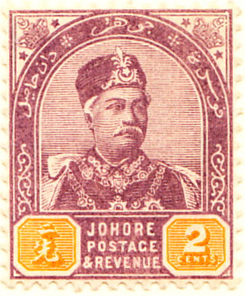 The first commemorative is an overprint for the coronation of Sultan Ibrahim. Griqualand West is an area north of Cape Colony which used Cape of Good Hope stamps from 1871, from 1874 with an overprint. The #1 is a 1d pen and ink surcharge on the 4d blue (£1,000/£1,700). 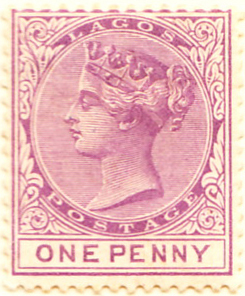 In 1877, two CoGH issues were overprinted ‘GW’ and thereafter the overprint was just ‘G’. 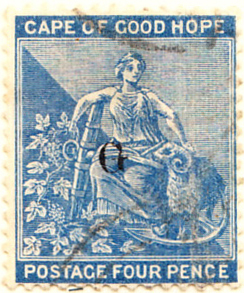 The stamp shown is the last of the 4d blue overprints, in 1880 GW was merged with Cape Colony. 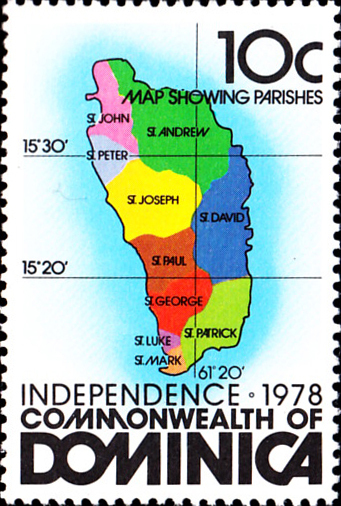 The largest island in the Windward Group in the West Indies. The SG5 shown differs from the £150 #1 only in the watermark. 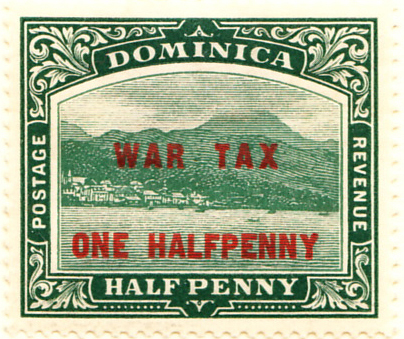 Only commemorative and war tax stamps have been issued in addition to the definitives. 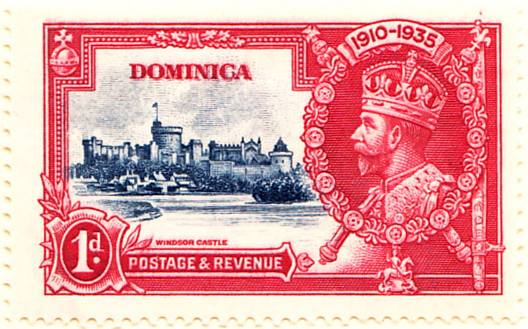 Dominica became independent in 1978. This west African territory was bought by Britain in 1861, went through various administrative oversights and became part of Southern Nigeria in 1906. Only definitive were issued. 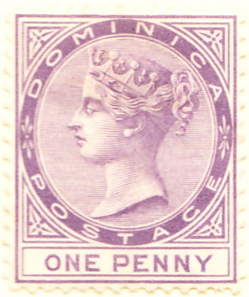 The stamp shown is the same design but a different watermark to the #1.